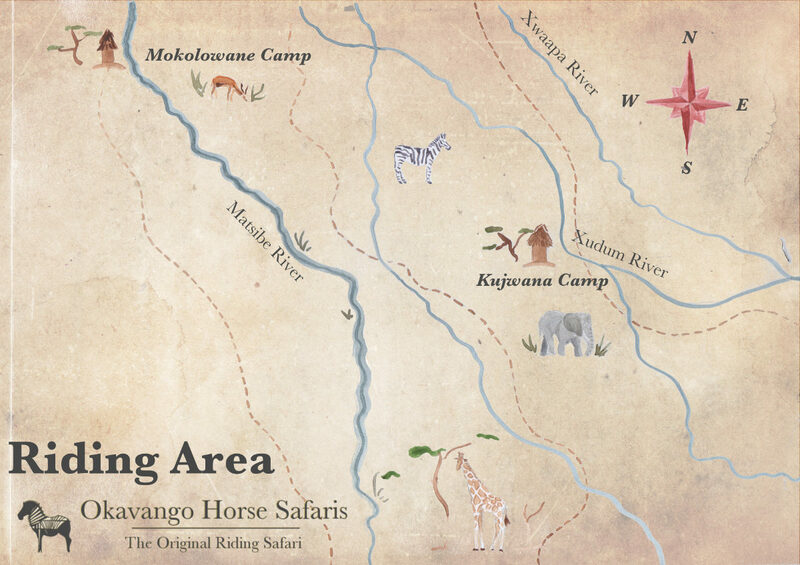 We visit Mokolowane Camp for the adventure of the day-long journey. Stopping for lunch, we rest during the hottest part of the day. 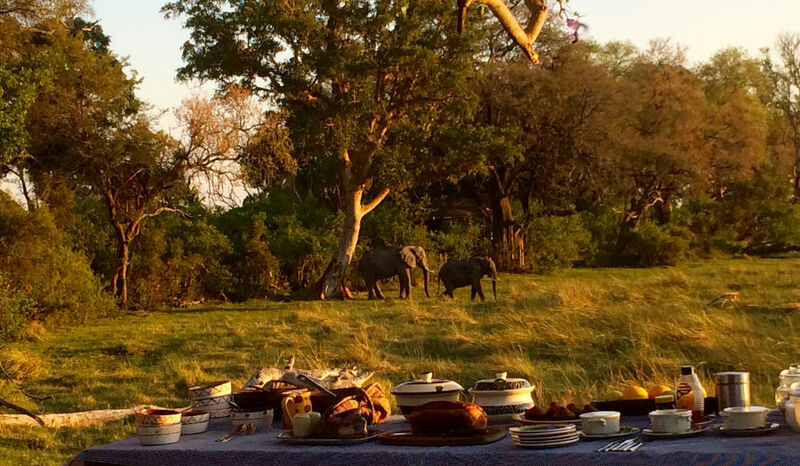 We arrive at “Mok” around sunset to the grunting of the resident hippos, in time for drinks and dinner. An excursion to Mokolowane is a rare treat. 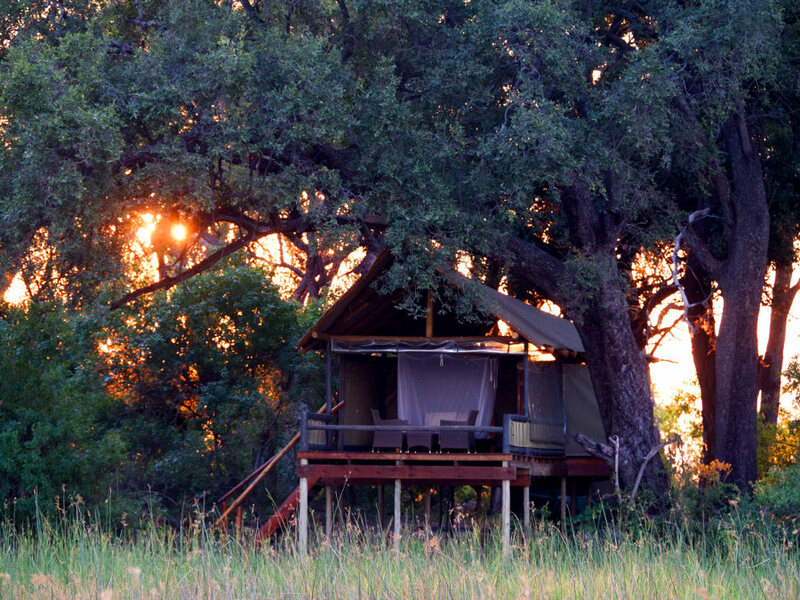 Situated north west of Kujwana on the Matsebi River, this camp is made up of tree houses 2 metres off the ground. A real haven for elephants that love the palm trees of this area. This camp is situated in the open flood plains that receive floodwater 3 weeks earlier than Kujwana camp. The vegetation consists of smaller palm islands and wide-open spaces. Mokolwane is a camp made up of 5 tree houses, with the accommodation boasting superb views, each with a private bathroom. The Matsebe River is your main feeder for Lake Ngami.